For two generations, the Tillett family artisans and craftsmen used the carriage house as a resi- dence and studio since the 40’s. 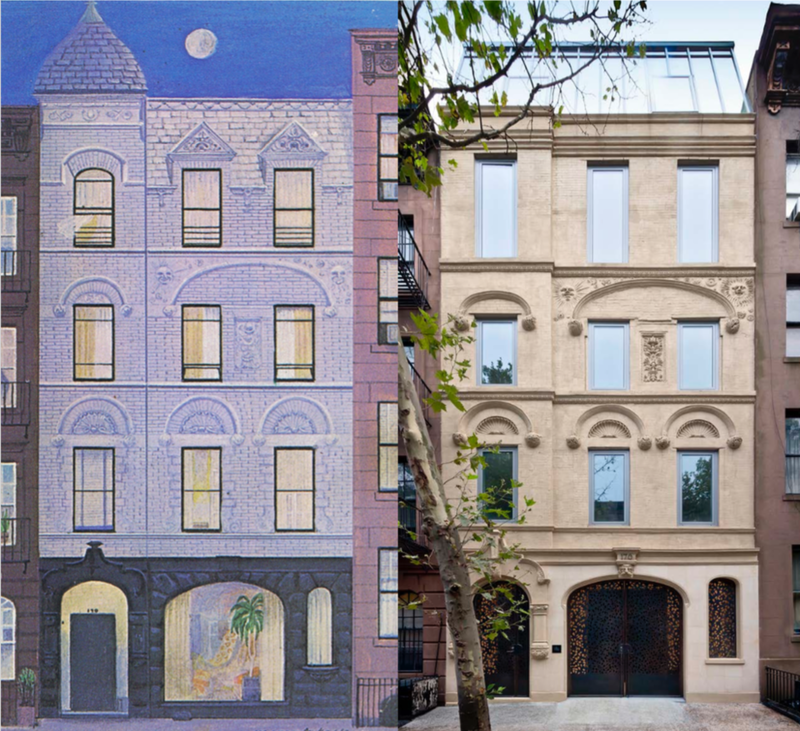 In honor of the heritage of the property, Kate Shin recreated the facade directly from a painting of the original building. The home was redesigned to be a state of the art modern gallery. The beloved and welcoming Waterfall Mansion & Gallery launched out of a surprising series of events. Initially, Kate Shin, a real estate private equity investor saw the Upper East Side property as a good investment. Two generations of artisans and craftsmen from the Tillet family had lived and worked there for over 120 years, giving the location a beautiful artistic heritage. Kate worked with world-renowned architect Toshiko Mori who designed a new carriage house from a gut renovation that took over 4 years to complete. What emerged was a beautifully designed 7 level space that married an art gallery with a residence. While she was waiting to sell to the highest bidder Kate curated free exhibitions and special events. These new experiences introduced Kate to the art world and the artist community and soon led her to drop her plans to sell the property and instead launch the Waterfall Gallery. 10 years after breaking ground, the Waterfall Mansion & Gallery is a respected name in many circles. Spiritual, art, culture, business, non-profit and diplomatic circles, to name a few, have been touched by the art and the colorful, energized, inspiring atmosphere at Waterfall. Over the years, Kate has opened her space to hundreds of artists, businesses, foundations, charities, and patrons. She has fed them the finest cuisine of love, compassion and creativity - the two main ingredients always being inventive art collaborations with her over 400 artists combined with her own personal inspired brand of authenticity, hospitality and her steady commitment to excellence. Waterfall Mansion and Gallery is a cultural hub that includes the Waterfall Mansion Foundation, the Waterfall Gallery, and the Waterfall Artist Ministry. As an ecosystem that intersects commercial, socially responsible, and non-profit community interests, Waterfall has been organically connecting artists, leaders, influencers, patrons, and others around faith, art, and culture since opening in 2014. Waterfall develops platforms and programming for its patrons that also provides resources and better conditions for its artist’s creativity and careers. Also, as part of Waterfall’s continuous commitment to the public, we have designed a public art campaign and we have created educational content focused on spirit, art, and culture as an ongoing gift to our larger society. We believe that culture should be nurtured by caring, authenticity, unity, honor, presence and wisdom. These elements of character formation are all supported to enhance the atmosphere and leadership at Waterfall. Waterfall believes that the feeling of home unlocks and frees us all to be fully at rest. We become potent, creative and whole, while enjoying a stronger sense of our identity and our freedom created at Waterfall. We are then liberated to explore divinely inspired creativity, which is beneficial in life and in any healthy creative process. At the core, Waterfall is a PLACE overflowing with love, compassion and hospitality as a special home away from home in NYC for artists, foundations, and others.